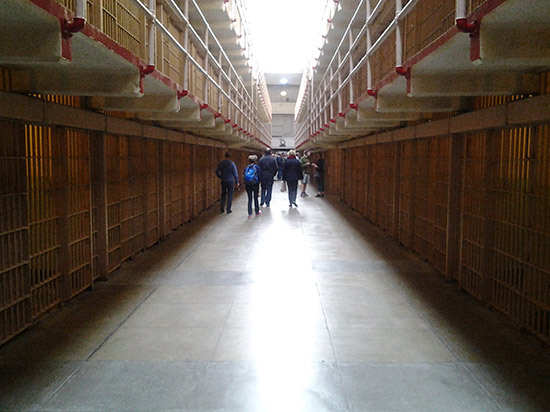 Our roving reporter John continues his trawl of San Francisco's pinball haunts, but not before he takes to the water and ends up in prison. 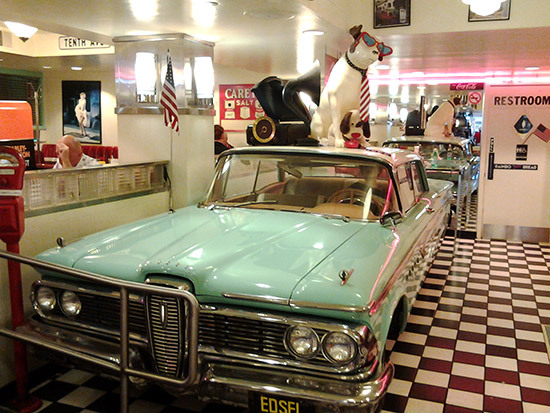 In September 2012, we visited the San Francisco as my first stop of our trip to USA. 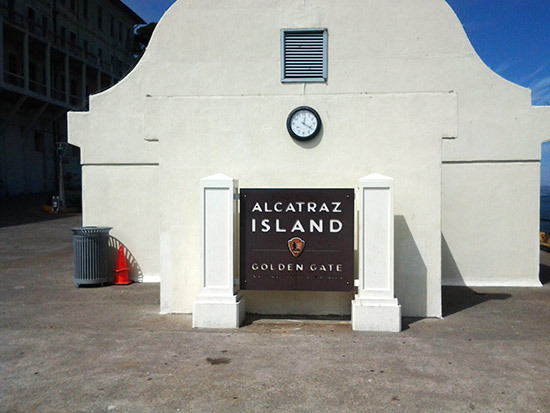 After visiting the Alcatraz Island on the morning of my third day in the city, we had lunch at the Fisherman Wharf. 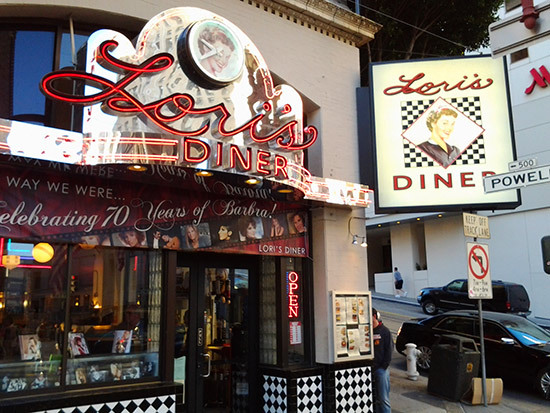 Around 4pm we started my journey to the Lori's Diner restaurant on Sutter Street in the heart of the city. 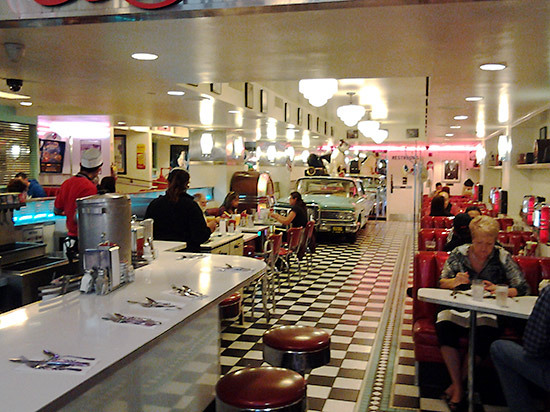 Loris Diners is a chain of American '50s-style restaurants with six locations in the city. 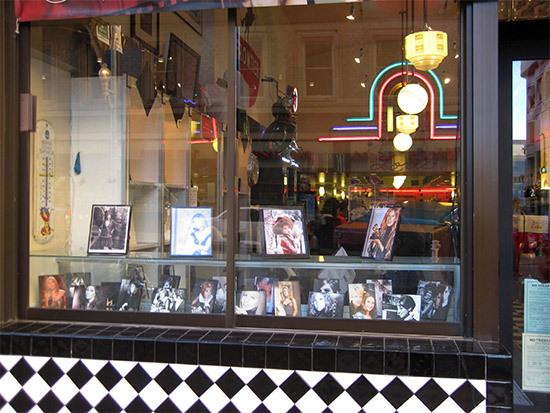 The one at the Sutter Street was quite spacious and with special decorations. We were not hungry, so we just ordered some drinks. 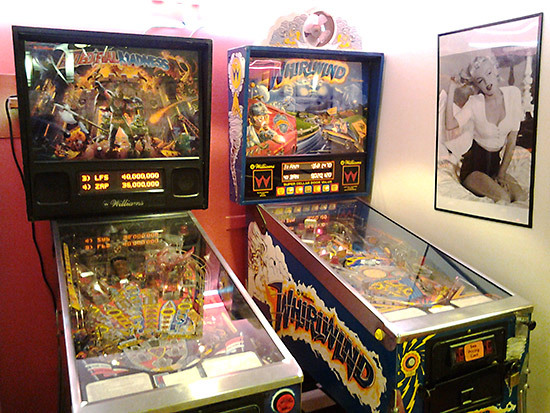 There were 2 pinballs - Whirlwind and Medieval Madness - in a hidden cave inside the restaurant. Initially, I was excited since I had never played the Whirlwind before. However, I was disappointed when I started playing. Why? 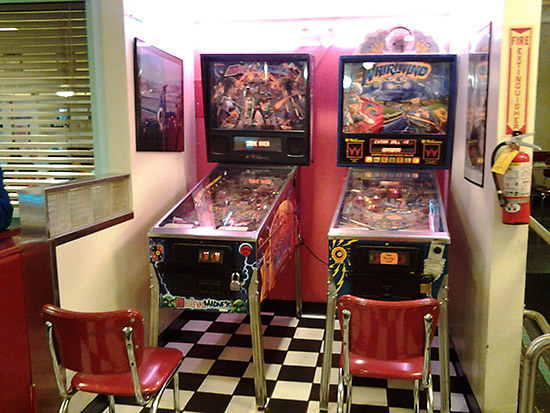 Since both of the pinballs tilted severely to the left, the ball always tended running to the left outlane. 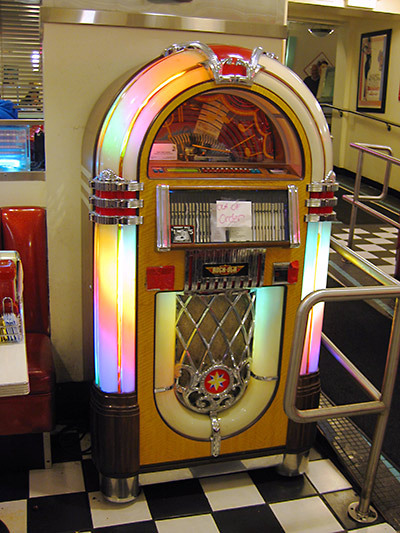 After an in-depth inspection, I found that the two machines were placed on a wooden raised floor, but the floor could not sustain their weight. Obviously, this had been happening for a long time, but nobody fixed it. It may be because the two machines were for display only, and nobody cared if they were properly installed. 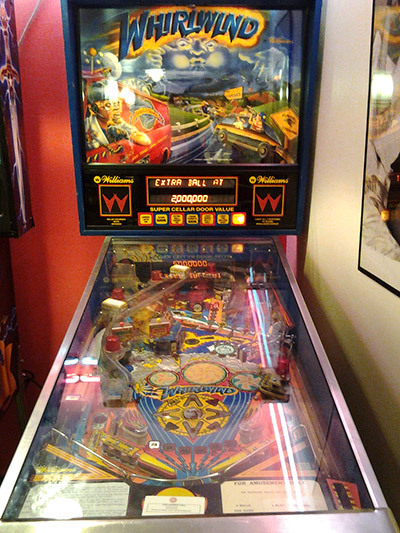 As a pinball lover though, I was very upset. I only played the two pinballs for 30 minutes before leaving the restaurant. 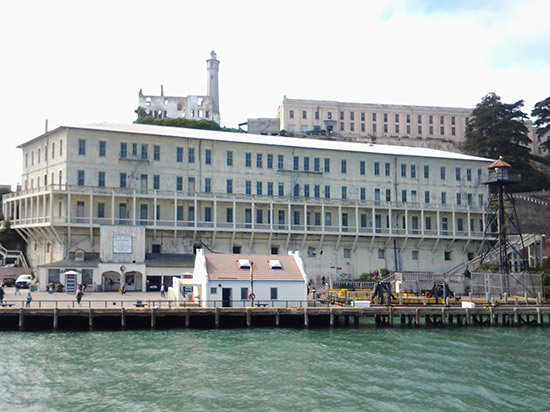 Transportation: 5-10 minutes by cable car from either the Fisherman Wharf terminal or the Manson St terminal.